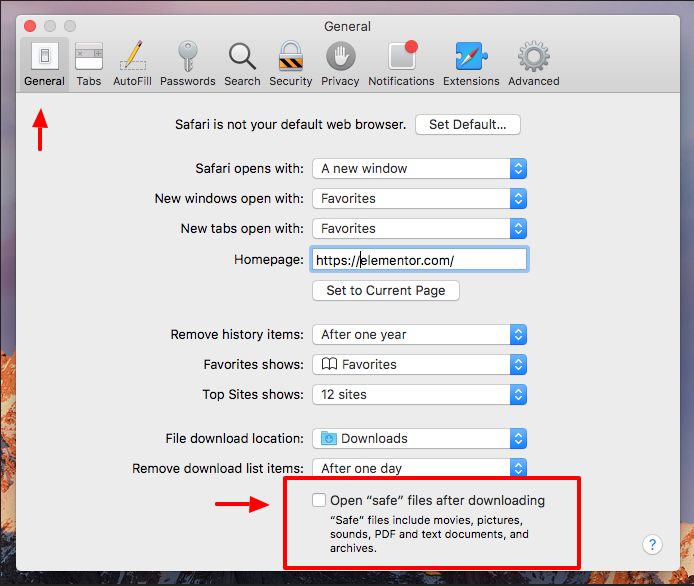 Safari automatically opens ZIP files and therefore, you cannot download Elementor as a ZIP folder. In order to fix this, go to your Safari Preferences and under General, uncheck 'Open "safe" files after downloading'. Note: The file has to be compressed and uploaded as a ZIP file.